Many of the Advaitists do not approve of Karma. But still Vedanta speaks clearly about Karma as a valid phenomena. As we know there are divisions within Advaitists themselves, one following the Traditional Lineage called Advaita Vedantis and the other called Neo Vednatis who do not follow any lineage and speak only from Logical Perspective. Vedanta accepts Karma as valid phenomena with riders. Advaita Vedanta is based on the inquiry into the sacred texts of the Upanishads, Bhagavad Gita and Brahma Sutras. It is too immature to summarily reject Karma as an invalid phenomena without ever fully going through the Vedantic Principles. You are a bundle of likes and dislikes as long as you are under the grip of the Mind. Likes and Dislike are nothing but Vasanas that are like traces of perfume that don’t go away so easily from your body. More the perfume puffed on your body the longer the duration it stays. Similarly higher the Vasanas in the Mind longer the karmic cycle is. People who are extrovert are only focussed on outside world. They are full of likes and dislikes. They live in the Mind, which they believe too much as real. So they have cognitive dissonance. They are always driven by vasanas which is nothing but Karma. Every action definitely has reactions. Vasanas are like seeds which are ready to sprout anytime and waiting for the right opportunities inside the soil. 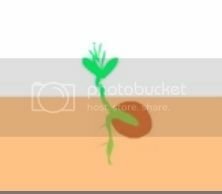 Seeds reside inside the soil. Vasanas reside inside Mind. The path of Karma Yoga is meant to clear all the vasanas. Karma Yoga is selfless action. It is selfless service. It clears all vasanas dormant inside the mind destroying all the karmic seeds. Karma yoga enables one to clear the vasanas. The subtle body becomes relieved of vasanas. Now one can focus on the pure self. Thoughts and feelings are also karma too. For karma yogi’s there is nothing like bad results. Every bad results teach us something about Dharma. When we are breaking some rules we are disturbing the dharma. We have to naturally pay for it. Dharma is nothing but a common rule/laws created by the minds as whole in society for an orderly functioning of the society. The logic behind going to Temples and Churches is to clear the vasanas and infuse selfless thoughts. All disturbed people have to take up karma yoga a resort to purifying the accumulated vasanas in their minds. Karma yoga works . It removes sufferings. Vedanta speaks about three types of karmas. Sanchita Karmas are accumulated works. It’s the sum total of karmas in store. Prarabdha Karmas are ripe or fructuous actions allotted for one’s present life. Prarabdha karma is like the money in our pocket, which we have to spend now in this life. Agami Karma is the fresh Karma we are creating for ourselves right here and right now by our actions. It’s the karma we create for our future. There is yet another type of karma called Nishkamya. Nishkama Karma is ‘Desireless Action’, gained through Jnana (knowledge about the self) and the way to avoid creating new Karma and is achieved by enlightenment. Karma is always there for both enlightened /unenlightened people. The enlightened people are are not attached to it. Unenlightened people think karma is real. Hence, Karma exist for those people as a real unicorn. They are forced to do and act as they consider them as real. Karma can be overcome only by Pure Knowledge. One has to renounce the feeling of one’s doership and become a selfless actor. Else, one has workout one’s karma as the universe we live in is reasonable. So, whatever karma we have in store due to our past deeds are fine for us. No harm in working them out. Desire creates Actions. Actions creates Karmas. Mind accumulated Karmas. The only way to overcome karmas is to work out the karmas accumulated in the Mind and also by not accumulating fresh karmas by understanding the Mind and becoming selfless. As long as you think you are a person, you get personal karma, because it’s all in the Mind. You don’t have to worry about your karma. That is why enlightened people don’t care whatever happens. Then don’t manipulate to get a kind of karma. One has to clearly realize the fact ‘ I am awareness’. One has to renounce the Doership. 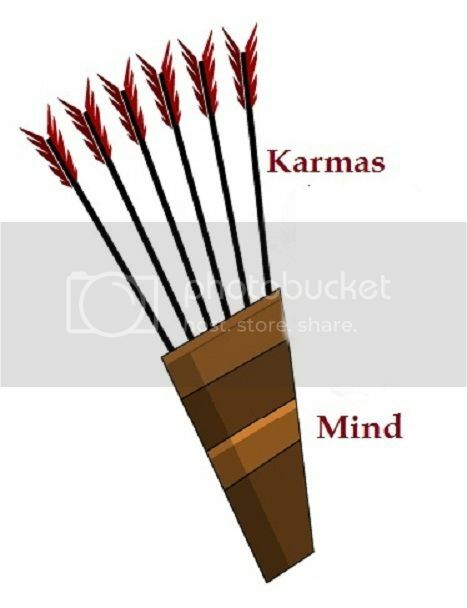 This way one can be relieved of the Karmas. But, still one must understand that one has to pay for the past deeds until or otherwise one clears the vasanas in store accumulated as backlog. There is also a very good video by Christine Breese explaining all you wanted to know about Karma – well worth a watch.